If you have invested in multiple mutual fund schemes with several asset management companies (AMCs), you would been probably frustrated with the amount of paperwork involved and keeping track of multiple MF schemes. If you have invested in multiple mutual fund schemes with several asset management companies (AMCs), you would been probably frustrated with the amount of paperwork involved and keeping track of multiple MF schemes would be time-consuming, tiresome and even boring. Dismayed by these hassles, at times you would have thought of divesting some of the MF schemes. But wait, don’t be in a hurry to sell out. Now, there is a way out to keep all the hassles away and have a worry-free MF portfolio. MF Utilities Pvt Ltd (MFU), the corporate entity created by all the registered AMCs and the MF industry body Association of Mutual Funds in India (AMFI), has a portal www.mfuindia.com that provides the facility of an online MF account where one can transact in MF schemes of all registered AMCs in India. On this portal, an investor can buy MF units in lump sum or SIP, redeem, switch or transfer his unitsfrom one MF scheme to another easily at any time. Since all the transactions happen online, there is no paperwork involved. All the MF units of all the schemes of all AMCs get credited into a single account or, if redeemed, get debited from the account. To avail this facility, the investor needs to open a Common Account Number (CAN), which is a unique account number issued by MFU. 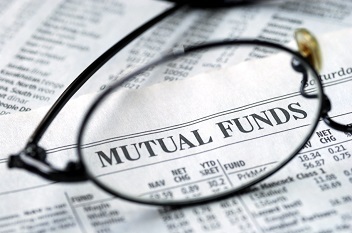 Once the account is created, the investor has a consolidated view of all his MF investments. The account also has various other details such as name, nationality, nomination, KYC status, bank account details, depository account details, tax status, details of power of attorney, guardian’s information (in case of minors), etc. In sum, the MFU platform provides the facility to transact online with ease, convenience and speed of transacting online in various mutual fund schemes. This enables the investment to manage his MF investments better and in a hassle-free manner.